Saint Mary’s University is pleased to announce two appointments to the Saint Mary’s University Board of Governors. Jane Roy, FCPA, FCA (BComm’84) has been appointed as a member of the Board of Governors for a term of office of three years commencing March 6, 2018. Ms. Roy is the Founder and Chair of Catapult Leadership Society. 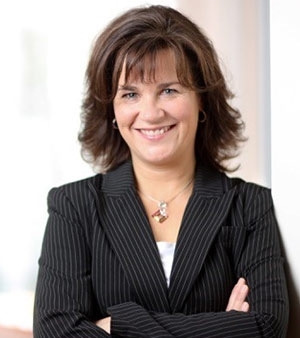 She has held several senior financial positions with public and private corporations in the Halifax Regional Municipality and was President of Financial Executives International (Atlantic Chapter). She was Founding Chair of Autism Nova Scotia, Founding Vice-Chair of the Autism Golf Ball and Founding Chair of the Medavie War Canoe Challenge. She was named Nova Scotia’s CA of the Year for 2009. In 2013, Saint Mary’s presented her with a 'Distinguished Alumni Award’ (for community service), and in 2015 she was named a Woman of Excellence (for Innovation). She currently also serves as a Director of the Nova Scotia Regional Tennis Development Centre. Jamie MacNeil (BComm’00) has been reappointed as a member of the Board of Governors for a term of office of three years commencing March 6, 2018. Mr. MacNeil is the Country Manager with Big Moon Power. He began his career in the Premier’s Office in the Province of Nova Scotia and has worked on Parliament Hill with the Canadian Senate. After a return to the Premier’s Office, Mr. MacNeil, worked as a Senior Government Relations Advisor for Nova Scotia Power, before running his own management consulting firm. A former m5 Public Affairs Vice President, Mr. MacNeil has a wealth of experience in public affairs, government and management consulting, working with clients from a wide variety of sectors across Canada and the world.